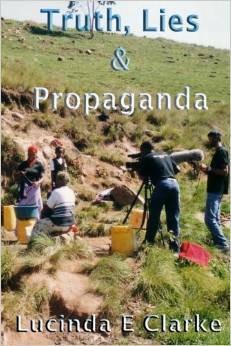 “Truth, Lies & Propaganda: in Africa (Truth, Lies and Propaganda Book 1)” by Lucinda E Clarke is a very entertaining and insightful story about a journalist working in various countries in Africa. The book works on many levels as it reads like an autobiography as well as a fictional story. The writing style is upbeat and often understated, then comes forth with journalistic sharpness and precision. You get to learn a lot of details, minor and major, about the countries and broadcasting stations involved while caring for the ‘protagonist’ and her personal life and career. Libya, BOtswana and South Africa are amongst the locations. As writer I could relate to the theme of self doubt and ‘making it as professional’ that runs from the foreword to the end of this part in the series. This may be a really silly question – but what is “crofting”? From Wikipedia: Crofting is a form of land tenure and small-scale food production peculiar to the Scottish Highlands, the islands of Scotland, and formerly on the Isle of Man. Ohhh, I guess I could have easily have turned to my trusty sidekick (Google) to get a definition. Thanks so much for looking it up!!!! Now I know and I shall look for every opportunity to use this new word that we have learned. How frequently that will occur in the Central Valley of California is anyone’s guess.